This is an annual event to celebrate the life of Charlie Holt and raise funds to support our mission and programs. Families of all ages are invited to enjoy an afternoon of carnival games, activities, bounce houses, and several local food trucks. 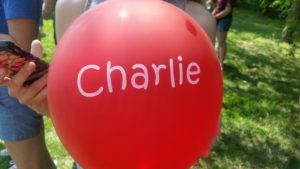 All proceeds from the carnival support the mission of Charlie’s Heart Foundation. Learn more about Charlie’s Carnival here. Interested in hearing more about Charlie’s Heart Foundation and directly supporting the people of Ethiopia? Consider hosting an Ethiopian jewelry and leather party! Invite friends and family to stop by your home, provide light refreshments and Charlie’s Heart Foundation will handle the rest. 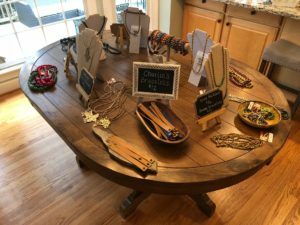 While you shop fair trade Ethiopian jewelry and leather products handcrafted by local artisans, you’ll learn more about Charlie’s Heart Foundation and how you can get involved. By hosting a party, not only are you supporting Charlie’s Heart Foundation but every purchase provides sustainable income for the people of Ethiopia and supports the work of one of our partnering organizations, Addis Jemari. All proceeds from the merchandise sales directly supports the mission of Charlie’s Heart Foundation. Questions? Interested in sponsoring an upcoming event?